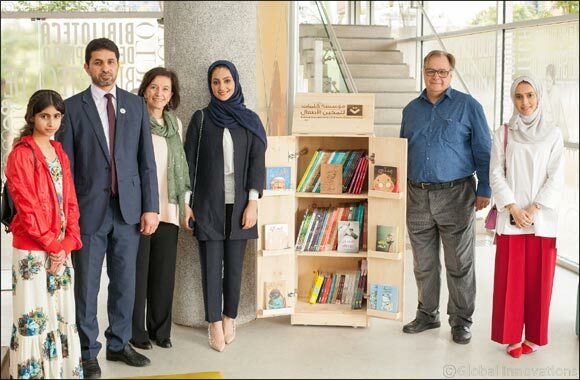 Dubai, UAE, August 08, 2018: The Kalimat Foundation for Children’s Empowerment (KF), a Sharjah-based non-profit, has supported the São Paulo Public Library, six school libraries, as well as community service centres in Brazil that host a rich collection of Arabic books, with 600 new titles. The books have been provided as part of KF’s ‘Pledge a Library’ initiative, which seeks to offer Arab and refugee children, and those who live in less fortunate communities access to books, helping them develop a fondness for their language and heritage even if they are away from their homelands. KF launched the ‘Pledge a Library’ initiative during its participation in the 36th edition of the Sharjah International Book Fair 2017. It has received strong support by several prominent government and private organisations in the emirate, such as the Sharjah Media Council, Sharjah Book Authority, Sharjah Islamic Bank, Sharjah Ladies Club, Knowledge without Borders, the ‘1001 Titles’ initiative and the UAE Board on Books for Young People, and other establishments and personalities. Since its inception by Sheikha Bodour bint Sultan Al Qasimi, Founder and CEO of Kalimat Foundation for Children’s Empowerment, in April 2016, Kalimat Foundation seeks to ensure the basic right of every child to read and to have access to books. It strives to promote the importance of books as the ideal means to children’s intellectual and social development, in line with its firm belief in the positive impact of books on building future knowledge-based generations. KF facilitates the provision of public libraries and refugee camps with books and gives children in disadvantaged areas access to knowledge.